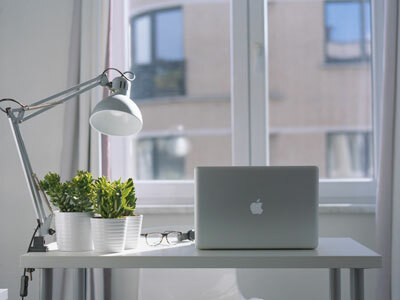 Organization is important, especially when it comes to your work life. You want to know the best ways to sort out your weekly tasks and new projects, while not overwhelming yourself. Carissa Lytle and Jara Kern, authors of THE INFOGRAPHIC GUIDE FOR ENTREPRENEURS, explain the do’s and don’ts of productivity. DO conclude each day by making a list of tomorrow’s to-dos and priorities. You’ll save time knowing how to pick up where you’ve left off. DO put first things first: concentrate on the day’s biggest task first, when you’re likely to have the most energy and concentration. DO checkpoint your to-do list by evaluating where you are and reprioritizing midmorning, midday, and midafternoon. DO carve out head-down time for yourself. Put your phone on silent and place it across the room. DO leave yourself a short buffer in between meetings and calls so you’re not rushing from one thing to the next. DO learn where you do your best work. Difficult project? Need the pressure of eyeballs? Take yourself to the library or Starbucks with the commitment that you’ll meet a certain milestone. DON’T check email reactively. Instead, check email in between tasks, focused time, or meetings. DON’T sprinkle meetings throughout your day. Divide your time into meeting time, work time, and administrative time for maximum productivity. DON’T skip meals or sleep—be sure to fuel yourself properly for your best work. DON’T be unrealistic about how long it will take to do something. Make sure you set aside enough time for each project or task. DON’T wait until you start a project to make sure you have everything you need to be successful. DON’T send work rushed or late at night—leave yourself time to look at it with fresh eyes and make sure it represents your best effort. Find more productivity techniques in THE INFOGRAPHIC GUIDE FOR ENTREPRENEURS by Carissa Lytle and Jara Kern! For more on boosting productivity…. 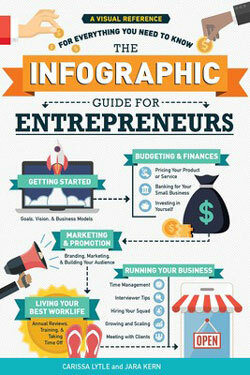 Excerpted from THE INFOGRAPHIC GUIDE FOR ENTREPRENEURS by Carissa Lytle and Jara Kern. Copyright © 2019 by author. Used by permission of the publisher. All rights reserved. Everything you need to know about starting your own independent business—and earning big—through easy-to-understand infographics. Start your dream business, optimize your freelancing, and max out your earnings with this graphic guide to everything you need to know to work for yourself. The Infographic Guide for Entrepreneurs includes information on how to leverage your skills to earn money, how to apply for a business loan, how to keep track of your earnings and expenses—and much more. With clear and accessible infographics on topics such as “What Makes My Business Unique?”; “Sell Yourself Without Selling Out”; “Feast or Famine: How to Stay Afloat During Dry Spells”; and “Hiring Your Squad”, you’ll learn how easy it is to work for you!